So on some forums I’m a member of, every once in a while the topic of literal translations comes up. So every time it does I whip out this picture from the game ‘Rhapsody: A Musical Adventure’ to show why literal is not the way to go. But today I got to thinking and I wonder if it is even accurate (since I don’t know any Japanese). I’ve attached two pictures. The first is the English version of the game, the second (courtesy of youtube) is the Japanese version. So the question is… how close did they get? I’ve seen this translation shared all the time on Twitter and elsewhere, but I had never seen the original Japanese line until now. The quick answer to the question is that yes, the English translation is pretty much a straightforward version of the Japanese text. First, the line sounds super-generic and repetitive in translation, but it’s not quite as bad in Japanese. This is because the Japanese line mixes English words with Japanese words, but when it’s translated, it all “flattens out” into just English. The character’s Japanese speech characteristics are also flattened out in translation due to the differences in language and grammar. In the past I’ve mentioned how Japanese-to-English translation can flatten nuances found in the original text, and this line shows two examples of how that happens. As such, part of the translation process also involves trying to copy the feeling of the original line back into the translated text. In this case, the translator wanted to show what happens when a translation is left flat. This is the world of snow, White Snow Village. Enjoy the beautiful world of silver. This is the land of snow, Whitesnow Village. Please enjoy our beautiful winter wonderland. Depending on who you ask, one might be more literal than the other. In many cases it comes down to personal opinion. Here snow’s world, WhiteSnow village. Beautiful silver world enjoy okay? Here(topic) snow’s world, WhiteSnow village (emphatic implied copula). Beautiful silver world(object) enjoy(familiar request). They might seem strange, but these versions follow the literal word order of the Japanese line. Word order often takes a center role in certain situations, so this style of translation can be useful sometimes, but I think many would agree that this is perhaps a little too literal and not something people would enjoy reading. Basically, this is all to say that when you hear someone mention the phrase “literal translation”, it’s important to understand that there’s rarely a singular translation that fits the bill and that everyone has slightly different opinions on what “literal” means. So while the official translator in this particular RPG called the line a direct translation, it could have been translated in many other ways and been just as direct/literal. Hopefully that makes sense, or at least gives some insight into the translation process. Anyway, the question I’m more interested in is: are there any other games out there where the translators left notes like this? I’m surprised something like this made it into the final version of an official translation! I’d love to get crisp screenshots of the Japanese scene and the English scene, but this seems to happen pretty late in the game. If anyone out there can get screenshots or even just save files from this part of the game, please let me know! 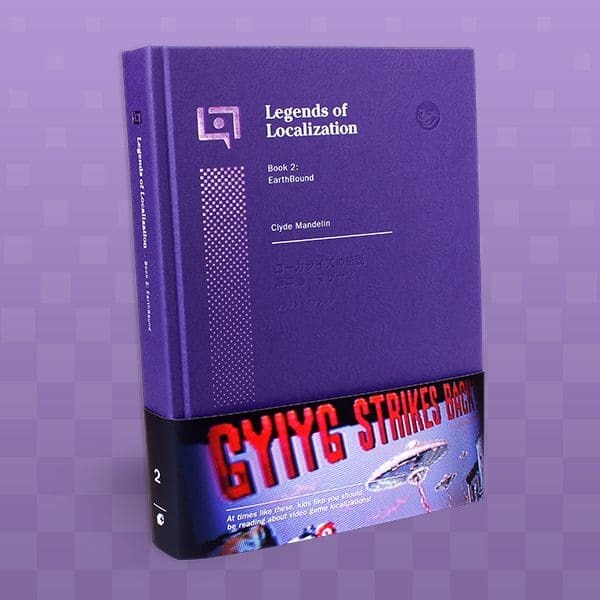 If you liked this breezy look at translation philosophy or if you like seeing game translations broken down in detail, check out my book about EarthBound! It touches on translation theory, the game localization process, and how translations can go very right or very wrong. That “mixing Japanese and English” you mentioned looks like it owes to the village’s name more than anything else, at least in the first text box. You’ve got the Japanese word for snow alongside the English word “snow” as part of the name, but they don’t sound anything alike, thus not sounding redundant at all. But when that Japanese word gets translated, and the town’s name is left unchanged, you end up with the same actual, literal word twice in the same sentence, where that situation didn’t exist before. Imagine if FF7 had a line somewhere in it that described Costa del Sol as a place where the sun shines. Even if you know that “sol” is the Spanish word for “sun”, that doesn’t sound/feel redundant, at least not nearly as much as this snow example. I forget what show it was, but there was an anime where a girl explains, “There’s a school festival. It’s a festival held by a school”. Apparently, the explanation is less redundant in Japanese, since it used a Sino-Japanese compound in the first sentence. “Lady Kayura, she’s a girl!” from Ronin Warriors always cracks me up. It probably sounds less redundant in the original Japanese. “This could be a result of Good Bad Translation: it’s handled a little more gracefully in the original, where Touma expresses surprise that Shuten and Kayura are human as opposed to the dub’s “You’re a man!”/”She’s a girl!”. Pretty clearly kept in as a cheeky joke. One which I’ve always found quite funny. Definitely daring on Atlus’ part, though — and it’s clear they were serious about putting it in there, since they actually had to add a dialogue box to pull it off! Good stuff as always, though, man. These articles are invariably fascinating to read, and entertaining as well. I’m not so sure. On one hand, you’d have to deliberately create a new text box to make it show up. On the other hand, it certainly would not be the first time developer notes accidentally end up in a bit of dialogue. Honestly, it’d not be that out of character for NIS either. I like it. It’s cheeky. That was a burn on me. I was burned. Would you like some soothing white snow for that burn? Having seen what happened in 黄金の太陽/Golden Sun, being too literal and Japanesey is preferable to when the translators try to be clever. To avoid the infamous Japanese “Metal Gear!”/”Metal Gear?”/”Yes, Metal Gear!” flow the translators rewrote most of the simple one word replies into entire paragraphs. This has given the game a real reputation for being overly wordy and dry it doesn’t really deserve. 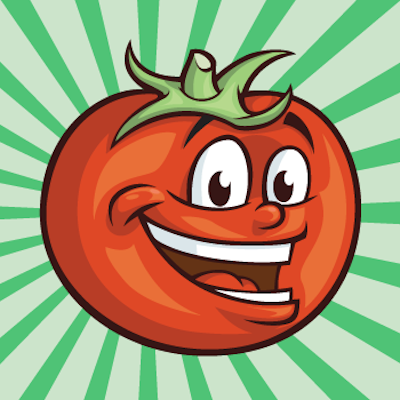 Tomato, please. I just typed out this long interesting comment, and your site rejected it in the name of “spam prevention”, and silly me I hadn’t copied and pasted it before sending, so it was lost forever. Y u do dis. Ack, sorry about that 🙁 The site used to get absolutely hammered by spam, so I had to install a second spam filter plugin which has saved the day like crazy. But I think it tends to reject comments with lots of links in them. I’ve also seen this line quoted in various places on the internet, and I agree with the sentiment about how there should be more to a translation than just matching the original text. But given all the myths about game translations this site has busted, like the one about the Japanese manual for Metroid using gender-neutral pronouns to avoid revealing that Samus is a woman (it actually just lies and tells you she’s a man,) and the one about the “graveyard duck” line in Castlevania 2 being a mistranslation (like most of the lines in that game that people have found suspect, it’s an accurate, if awkwardly phrased, translation of a line that was intentionally confusing in the original Japanese,) it actually kind of surprises me now that this dialogue is exactly what it’s reputed to be: an accurate but dull translation of what the original Japanese said, which someone could plausibly have come up with by dogmatically insisting on matching the exact words of the original script. > Here(topic) snow’s world, WhiteSnow village (emphatic implied copula). Beautiful silver world(object) enjoy(familiar request). Yeah, that’s the point where it becomes more like a gloss ( http://en.wikipedia.org/wiki/Interlinear_gloss ) than an actual translation. It’s the sort of thing that’s useful for explaining aspects of Japanese grammar to a native English speaker, but because the entire point of something like that is it shows both Japanese words and English words arranged in a Japanese sentence structure, I don’t think it can really even be considered a translation, because you’d never expect sentences to be written that way in English (or any language besides Daktaklakpak ( http://www.youtube.com/watch?v=dPxBxYtoInI ), really,) so it can’t be parsed in any logical way unless you also happen to know Japanese grammar. > it actually kind of surprises me now that this dialogue is exactly what it’s reputed to be: an accurate but dull translation of what the original Japanese said, which someone could plausibly have come up with by dogmatically insisting on matching the exact words of the original script. But is it though? Seems to me they intentionally dulled it down to the extreme to make their joke work. The first box lacks the word “world”, that’s like 20% of the sentence right there. The second box removes “beautiful” and “silver” and adds in snow instead just to repeat it again. Of course it’ll be dull if you do that. Besides, the double use of snow in the first box is kind of a special case because of the village name, since it wouldn’t sound repetitive in any language except english. I dunno, I feel that this joke (and it’s fame as a warning example) is kinda dishonest and forced here. I think one of the best examples of what’s wrong with literal translations is all the second-person pronouns that exist in Japanese: a text that was originally written in Japanese might use “anata”, “omae”, “kimi”, “onushi”, “onore”, and others besides. These are often described as connoting different levels of politeness and formality, and they do, but they also have very different connotations regarding the speaker’s attitude, and how they present themself. When any of these words is used in Japanese, there’s rarely any way around using the word “you” when you translate it into English. The problem with literal translations is that generally, that’s where they stop. They assume that as long as you know the “you” in the English statement corresponds to the “kimi” in Japanese, you know the translation is correct. And when you leave it at that, you lose all the information about the characters’ attitudes and how they relate to one another that would have been conveyed by their choice of words in Japanese. In order to keep that information intact in the translation, you need to make sure that something about the way the characters talk in English conveys the same connotations. This does mean you’re going to have to change something, in the sense that there will be parts of the translation that don’t have an exact equivalent in the original Japanese text, but it’s a huge part of what makes the difference between a well-written translation that will be able to tell a memorable story and a lifeless translation that might convey the basic facts of what happens in the story, but is just boring and forgettable. My point wasn’t that Japanese is an outlier by having an unusually low number of synonyms (I honestly don’t know how Japanese would compare to most other languages in that respect.) My point was that English is an outlier by having an unusually high number of synonyms for most words. The reason I say this isn’t because of the number of loanwords from other languages that English has, because that’s not really an unusual feature for a language to have (for instance, the word for “alkaline”, which is a loanword from Arabic in English, is derived from the same Arabic word in most other languages – http://www.indifferentlanguages.com/words/alkaline ,) but because of how what we think of as being English today developed. However, after reading more about this, I’m not sure anymore that Japanese is really so different from English in this respect. There isn’t much that’s known for sure about the language that was spoken in Japan before the 7th century AD, because there wasn’t a system of writing used for it until a system for writing Japanese phonetically using Chinese characters came into use around that time. However, in addition to the writing system, an enormous amount of vocabulary derived from Classical Chinese was also imported into use in Japanese, to the extent that some sources actually estimate an outright majority of all words in Japanese dictionaries today are of Chinese origin. I think the combination of influences in present-day Japanese from pre-Nara Jidai Japanese and Classical Chinese may actually be similar to the combination of influences in English from Old English and Norman French. Japanese has an absolutely crazy amount of synonyms. It’s like the #1 hurdle when learning it as a foregin Language. So Mato, how would you, as a professional translator, have translated the original? Just curious. >This is because the Japanese line mixes English words with Japanese words, but when it’s translated, it all “flattens out” into just English. To be quite honest, this is how I feel about the original town names in Mother 1. In Japanese, they probably stood out as foreign and exotic, and having themed names seems like a popular trope (a less-jarring example would be Donut Plains, Butter Bridge, Vanilla Dome, etc. ), but personally, I think they stick out like a sore thumb. Of course, many people have been saying them for years and are used to them, but I dunno. I really liked Phil Sandhop’s decision to rename them in favor of sounding more like towns that would actually exist. Speaking of thematic names, I’ve always liked how towns in Pokemon are named after colors. One thing I’ve always wondered about this game–if you play it, even on the hardest difficulty, you’ll find it’s so easy as to be ridiculously unbalanced. Was this a localization error or was it originally like that? Oh, it’s definitely like that in the original. This was Nippon Ichi Software’s first-ever RPG, after all – I doubt they had a very good grasp on good game balance at the time, since before this, all they had made was puzzle games. So I’m curious, if we were to have said it with a Japanese word mixed in with the English, would that have worked better? Hah, sounds like something Working Designs would do, one of the translators deciding to have some fun with a generic NPC with uninteresting dialogue. Reminds me of the “Note: Keikaku means plan” subtitles on Death Note. I went back through my old streams and grabbed some crisp screencaps of the English lines. (Unfortunately, my Japanese knowledge is pretty much nonexistent, so I can’t evem muddle my way through the game to get Japanese screencaps. :/ ) What’s the best way to get them to you? I was hoping that bit would get pointed out eventually. Localization vs. translation really is a spectrum, not an either/or prospect. A highly faithful translation can still have a good amount of variety, and indeed should unless its source material is bland and repetitive.